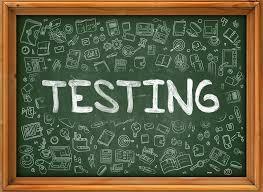 MBMS will be administering state testing April 29-May 17. Grades 7 and 8 will test the first two weeks (April 29-May 10), and Grade 6 will test in the third week (May 13-17). We encourage students to get a good night’s sleep and start their day with a hearty breakfast during these weeks (and all year long), but especially during this timeframe. Wednesday late start will be in effect as normal. Testing will take place with students’ content-area teacher for English, math and science over this two-week period. There will be NO Zero Period PE for 7th & 8th graders only during this timeframe. Testing will take place in students’ Humanities classroom. There will be NO Zero Period PE for 6th graders only during this week.